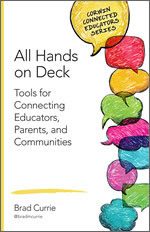 "This is an incredibly practical book that provides insight on engaging school stakeholders. Brad has done a wonderful job of sharing success stories as it relates to the power of technology to connect schools with parents and community members. The ideas shared throughout the book can help strengthen a school’s culture in order to promote the success of all students."